Edinburgh builders, Mackenzie Hughes specialise in the restoration of period properties along with conversions and extensions for homes in the Lothians. We will faithfully reproduce the Georgian or Victorian look you may be after using authentic materials and to the highest possible standards. We can also completely modernise your period home to make it fit for 21st century living, but with a sympathetic nod to the past. We also love a challenge and thrive on building interesting living spaces, specifically designed around your needs. Our services include advice on interior design and converting modern properties both residential and commercial. We have excellent relationships with a close and trusted circle of architects and other professionals in the building industry, so when you contact us to discuss your building or renovation needs first, we will recommend the most suitable project partners to deliver your aims. We're here to listen, talk and to engage with project architects, engineers and clients alike. Getting involved right from the start gives us a better understanding of our clients, what they want to achieve, and how we can turn that vision into reality: whether that means creating inspirational and harmonious spaces for residential homes or carrying out commercial work to a tight deadline. 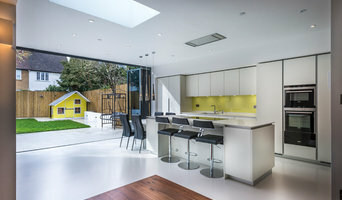 If you’re ready to undertake a building project and need the right people to make it happen, or would just like to use us as a sounding board for an idea you may have to enhance your property, contact us now or view our gallery on www.mackenziehughes.co.uk/gallery. We look forward to hearing from you. 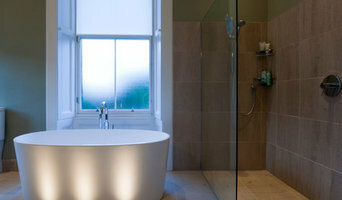 Wayne Smith Renovations, we are an all trades building company specialising in small bespoke extensions/conversions/kitchen and bathroom design and installation. We have built business through word of mouth thanks to quality results, great pricing and a friendly, reliable workforce - but don't just take our word for it, take the time to read through a few of comments from our happy customers on our website. My name is Daniel Pereira. I am a builder with over 18 years of experience in the building trade. Stockbridge Home Solutions is a custom joinery and home renovations company that works in harmony with our clients. We align our experience and knowledge with your ideas and vision, creating beautiful, bespoke work in your home. I love joinery and I love working with people to try and understand their needs and wishes. When working on any kind of project I always aim to exceed expectations and create something special. Throughout the Design & Build process my mind set is always about positive thinking, continual improvement and of course - customer focus & satisfaction. I started Stockbridge in 2011 and my main goal is to make high quality joinery and building work by combining my passion and experience to make ideas and projects come together without compromise or cutting corners. Independent Distributor for Pioneer Log Homes of BC The Finest Log Homes on Earth. Mr Buckley Interiors can provide services to suit any budget, whether its a refresh of a single room at home, or designs for a new shop or bar, packages can be tailored for your level of involvement from simple shopping lists and paint schemes to full turnkey solutions where you won't have to lift a finger. Get in contact to discuss your design needs and make a booking for your complimentary initial consultation. Our mission is to work with clients who share the same vision as us, whilst doing so, producing the exacting requirements and standards they expect. Our approach is about creating highly satisfying and sophisticated crafted workmanship, tailored to your needs. It is about you, the client. 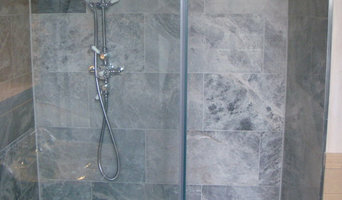 We believe, you will not beat our service or craftsmanship and will be delighted to discuss your project with you. We intend to be the go to company for those medium to large scale jobs where personal investment and aspirations are delivered to you with genuine satisfaction. We are proud to have delivered fantastic extensions, renovations and conversions to private residences across Edinburgh, along with bespoke interior works in kitchens and bathrooms. 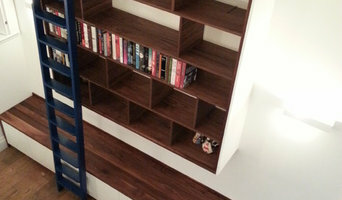 We are also renowned for our high standards in developing any carpentry solutions from flooring to doors and architrave's through to sophisticated custom build wardrobe and storage systems. Rockell & Duncan Building Services are your trusted & reliable builders in Fife. We provide all types of domestic, commercial & industrial building services for clients in Dunfermline, Fife, Edinburgh and the surrounding areas. We pride ourselves on our top-quality workmanship, customer service & reliability, ensuring that all building works which we carry out are to the highest standards and the perfect addition to your property. With extensive experience in working on new build homes, extensions and many other building services, you can be confident that we're the local Fife builders you need for your next project. Tiny House Scotland is the brainchild of Jonathan Avery who designs and builds on-grid and off-grid highly insulated wooden small and tiny houses from 10 - 50 sq. m, for use as living accommodation, home offices and studios, holiday letting etc! They are high specification architectural gems overflowing with character and craftsmanship but above all ecologically high performance. At the root of all this is a lifelong love of green architecture and over thirty years as a designer, builder, photographer and furniture maker. 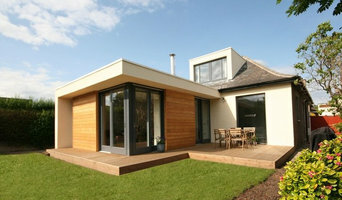 A tailored project management service for your New build, Extension,Renovation ,Alteration. The reputation of Elite Property Solutions has been built upon delivering successful build projects with quality workmanship. At Elite we manage your entire building renovation, refurbishment and interior design project, from the initial concept through to its completion. Our experienced in-house team of qualified tradesman and carpenters enables us to deliver consistency and quality at every stage. Our wealth of experience and attention to customer service will be key in transforming your dream into reality. Nearly all our business comes from personal recommendations where positive feedback from clients is testament to the quality of work and professionalism demonstrated by our team. AED structural engineers provide high quality design consultancy, working with some of the best construction teams in the country. We create properly considered, fully detailed solutions for building design, general structures and the wider built environment. Our thorough and client-focussed approach leads to high levels of customer satisfaction as a matter of routine. We apply our skill and experience as structural engineers to cultural, sport & education, infrastructure, commercial and residential projects. We carry out design work for new buildings, existing buildings, structural maintenance and special projects. We also provide a range of services dedicated to the needs of contractors. AED have been shortlisted for Structural Engineer Of The Year 2015 and our projects have recently won a Wood Award, the Edinburgh Architectural Association Award, the RIBA National Award for Scotland, a Scottish Design Award, the RIAS Award, the Resource Efficiency Award, the Forestry Commission Scotland Award and the Landscape Institute Scotland (LIS) Placemaking Award 2015. Supported by Entrepreneurial Spark®, we are a Scottish based company designing and building bespoke Garden Studios and prefabricated Harlequin Pods. När man ska bygga upp sitt fritidshus bör man såklart fundera över om man vill utföra bygget själv eller använda sig av en byggsats. Därefter kan man välja husleverantörer i Heriot. Väljer man det senare alternativet så finns det olika modulsystem att använda sig av när man bygger sitt attefallshus. Detta är ett väldigt smidigt alternativ då ytskikt, installationer samt inredning kan färdigställas på fabriken. Väljer man att använda sig av prefab gjuts grunden och bjälkarna i huset på plats medan väggar tillkommer. Genom använda sig av den här typen av byggsats för hus kommer man undan med väldigt mycket arbete vilket är bra om man själv inte är någon husbyggare. Det man ska tänka på om man väljer bland nyckelfärdiga fritidshus är vad som ingår i leveransen. Detta kan nämligen variera en del mellan olika husföretag. Vissa företag kan leverera lågenergihus och andra enbart väggar och ytskikt, så fundera över vad som är viktigt för dig att få med. Först och främst ska man hitta en husleverantör i Heriot, Scottish Borders, UK som förstår vad man letar efter. Vidare bör man fundera över om man vill kunna bo permanent i huset, då detta ger betydelse för din byggsats. Beställer man ett nyckelfärdigt fritidshus ska man kolla med säljaren exakt vad som ingår, så att man inte saknar något när huset ska monteras på plats. Eftersom monteringsfärdiga hus har helt olika karaktär och innehåll är det viktigt att vara på det klara med vad som följer med. Praktiskt bör man även tänka på att man har tillräckligt med plats för huset på sin tomt, och att underlaget är fixat innan ens nybyggnation kommer på plats. Det värsta som finns är att få sitt färdiga fritidshus levererat utan att vara förberedd, eftersom det då genast sätter några käppar i hjulet för husprojektet. Enklast blir det därför både för dig själv och husleverantören om de informerat dig noggrant om vad som krävs, och att du sett till att allting är på plats. Att köpa färdiga hus över nätet är både smidigt och prisvärt, se bara till att ditt hus blir som du tänkt dig. Det korta, och underbara, svaret på denna frågan är nej, bygglov behövs inte! I alla fall så länge det inte är mer än just ett attefallshus. Det är med andra ord fritt fram att upprätta ett fritidshus på sin egen tomt när man äger den. Viktigt att tänka på när man ska bygga ett är dock att det inte får vara över 4,0 meter högt, och får inte överskrida 25 kvm. Så länge det är under 25 kvadratmeter och 4 meter är det dock fritt fram och tillåtet att bygga hus i litet format på din tomt. Så varför inte kika runt bland lite olika leverantörer i Heriot, Scottish Borders, UK som kan hjälpa dig med att få till ett riktigt härligt litet hus på din tomt som du antingen kan ha som gästrum, eller varför inte ett kontor om du jobbar hemifrån? Viktigt att tänka på dock är att ett attefallshus inte får användas som en bostad, så det kan dels inte innehålla alla funktioner som ett bostadshus, och dessutom får du inte hyra ut det till betalade hyresgäster. Ett attefallshus ska kort och gott vara som ett extra rum till en redan befintlig bostad. Om det däremot är så att du är osäker på något eller har några frågor är det allra bästa att vända sig till byggnadsnämnden i din kommun.